We started our walk along the main road from Yasaka Shrine. After walking around 10min (or less), we saw a signboard which pointed us to turn into a small street to get to Kiyomizu-dera. 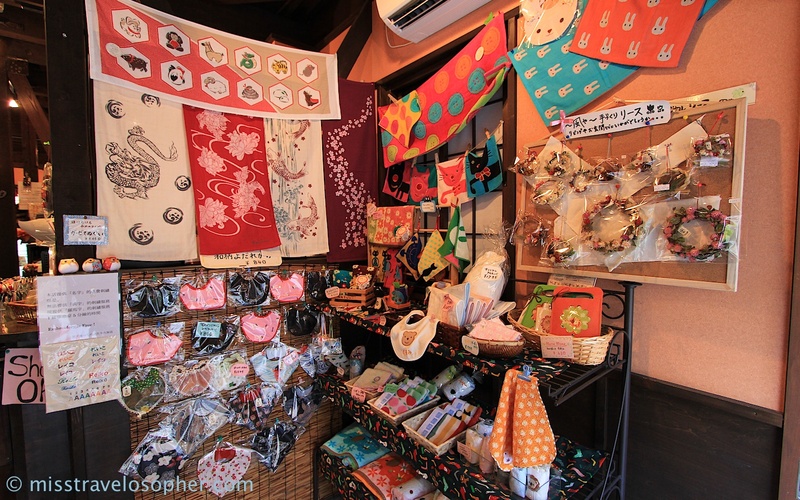 Just next to Yasaka Pagoda, we found an awesome shop which we bought a lot of souvenirs from. 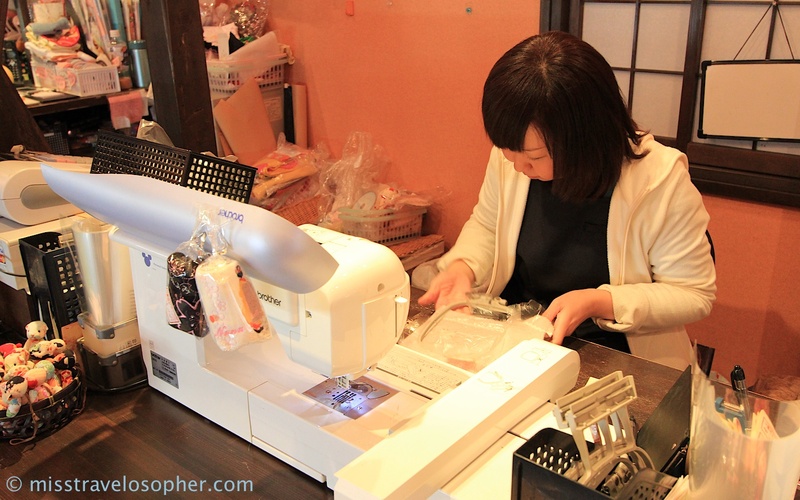 This shop provided free embroidery on pretty little towels and handkerchiefs! I bought quite a number of towels from this shop as gifts for my friends and family back home. 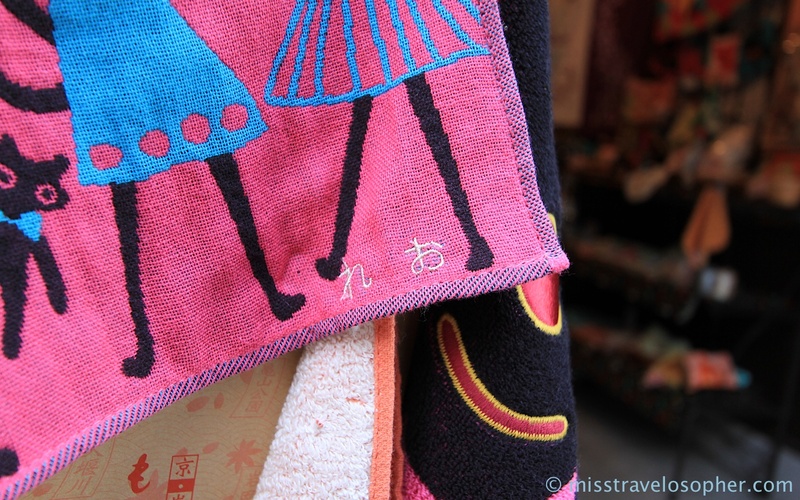 We ordered so many towels from this shop that we returned to pick up the items only after we were done sightseeing at Kiyomizu-dera! 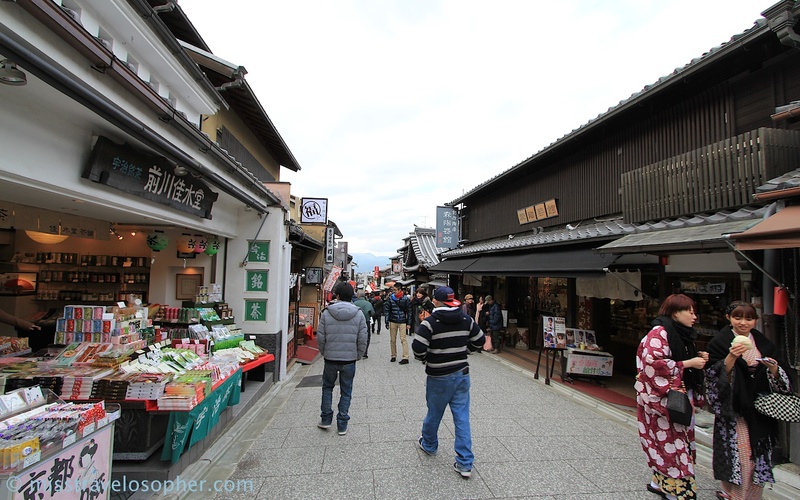 As we continued our walk, both sides of the streets were lined with many interesting souvenir shops. 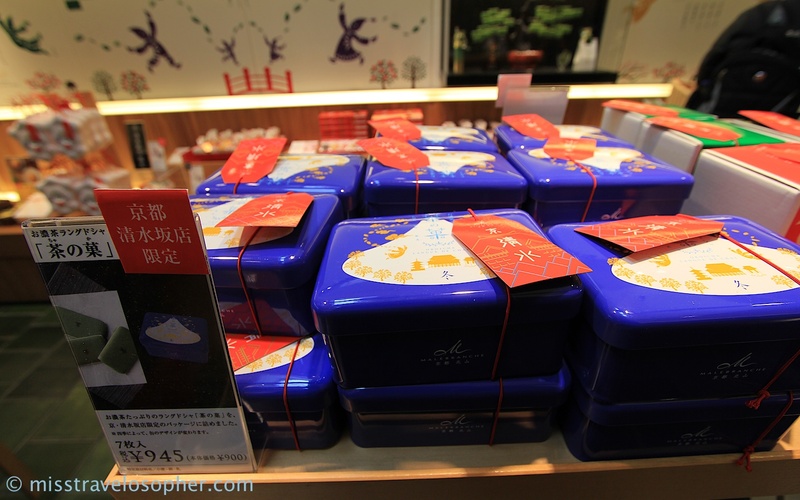 It was almost impossible for us to walk more than a few steps before we ducked into another shop! 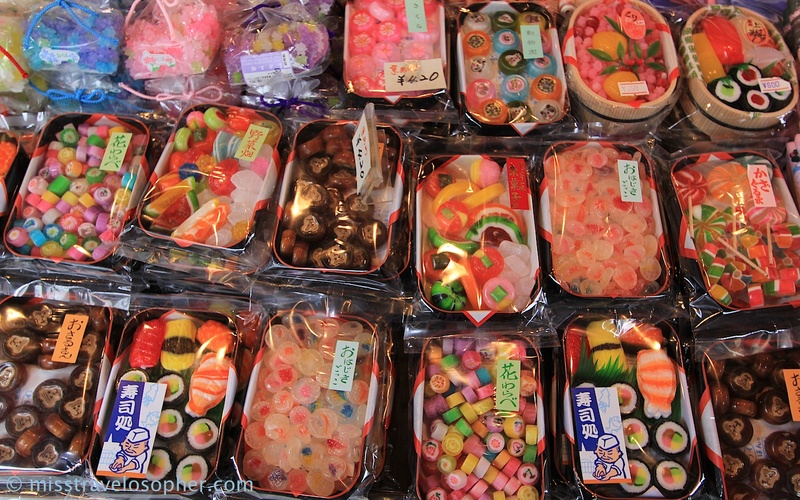 There were many sweet shops as well which sold really interesting stuff like sushi shaped sweets?! 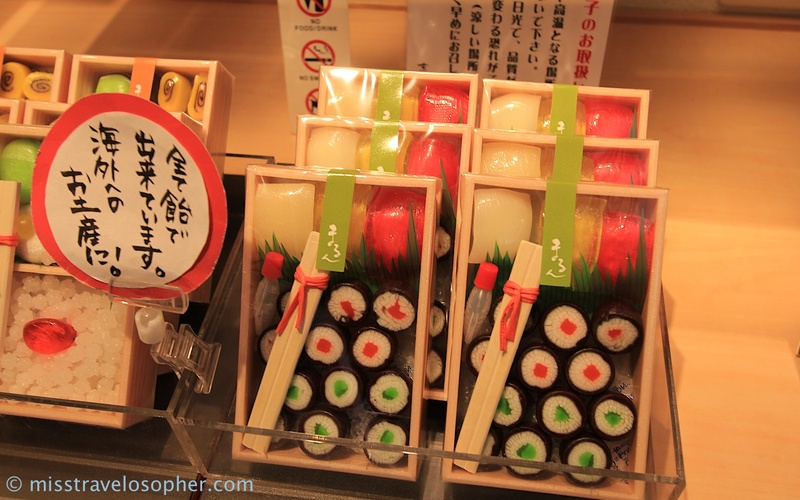 Sushi shaped sweets! Oh so cute! 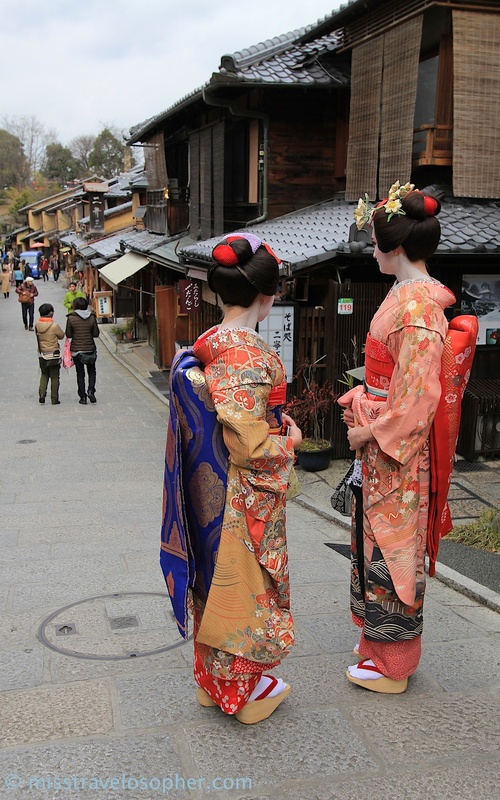 Another interesting sight in the Higashiyama area is tourists or locals dressing up as maiko. Dressing up as a maiko is known as ‘maiko henshin 舞妓変身’. There are a couple of makeover studios along the streets as well. 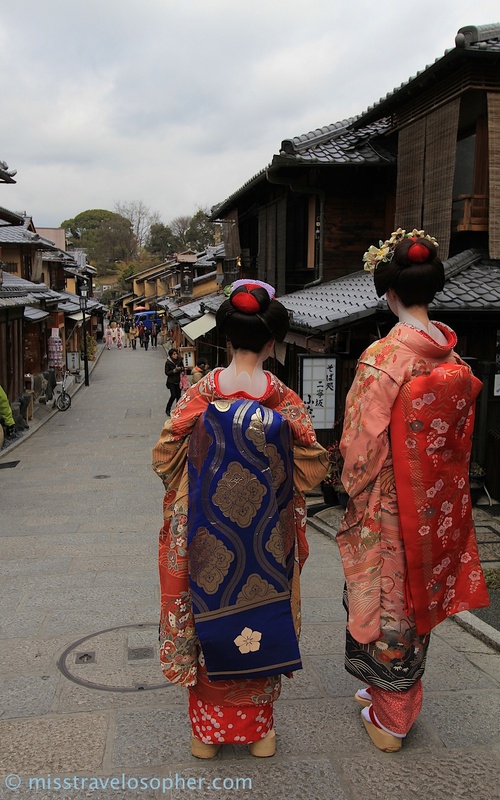 At first sight, you might really think that you are seeing a real maiko! However at closer sight, you will be able to spot the difference. (A real maiko will be too busy to stroll around on the streets anyway.) I caught a few along the way. 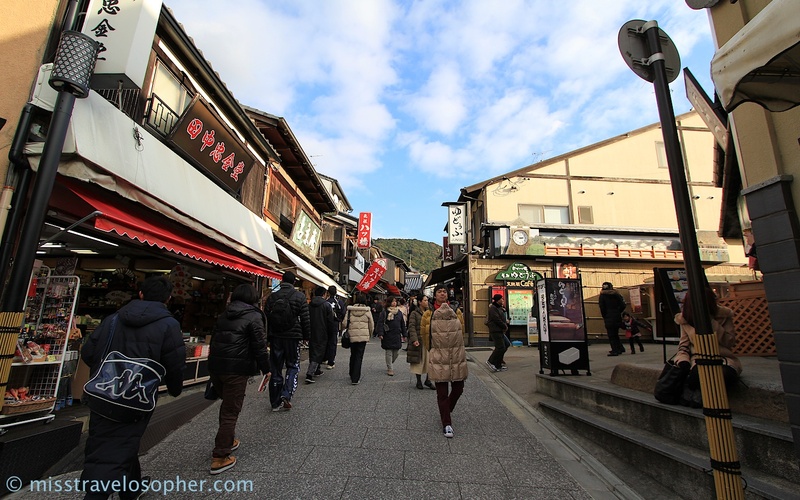 As we walked closer towards Kiyomizu-dera, the quaint old shop buildings gave way to newer looking ones along Kiyomizu-zaka. 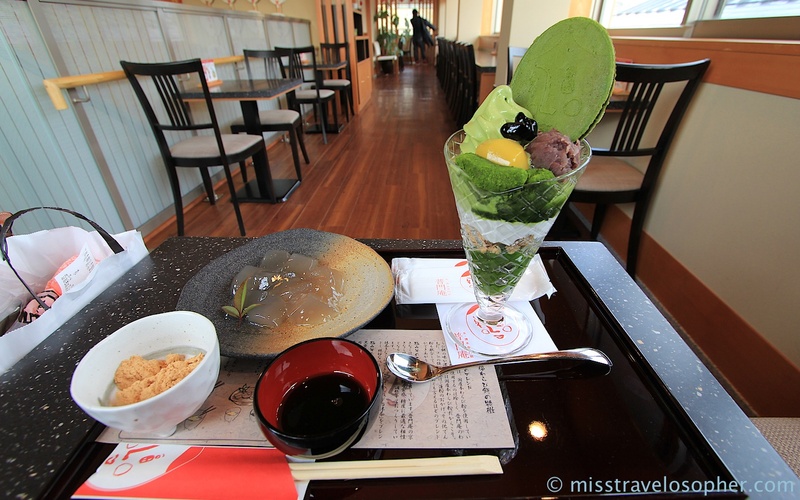 There is really so much to eat and see along these streets! 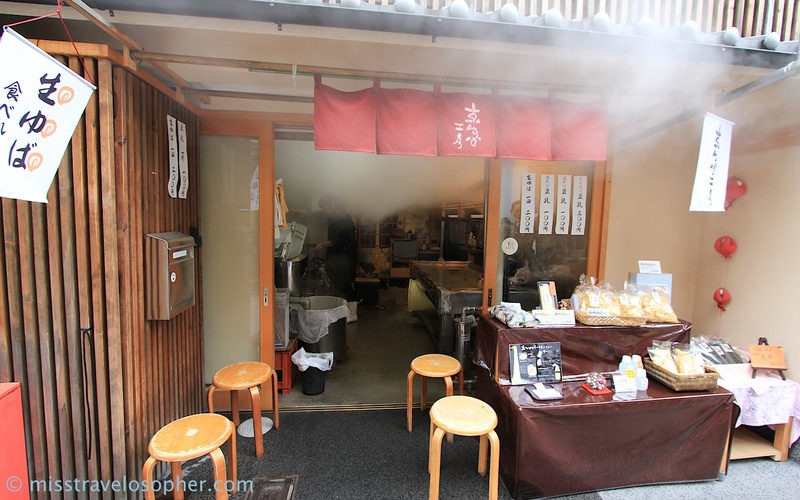 Here’s a famous traditional food in Kyoto – Yatsuhashi (八ツ橋). 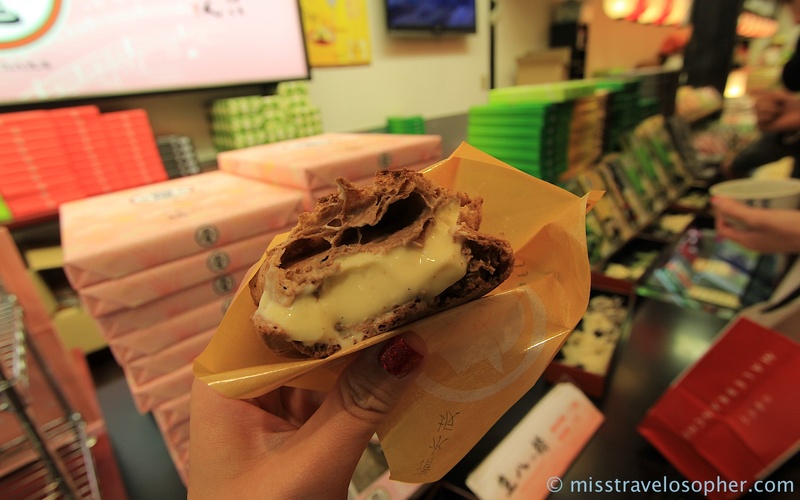 It has a soft, mochi-like texture and is filled with red bean paste. 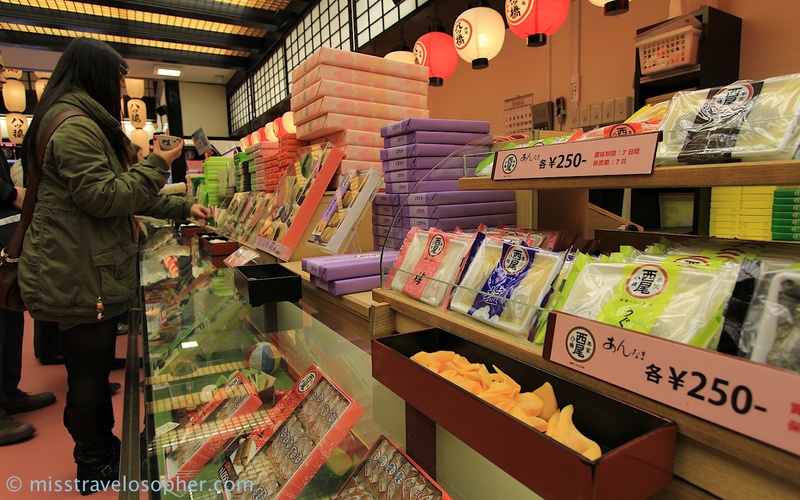 There are many shops selling great snacks and I had a happy time munching along the way. 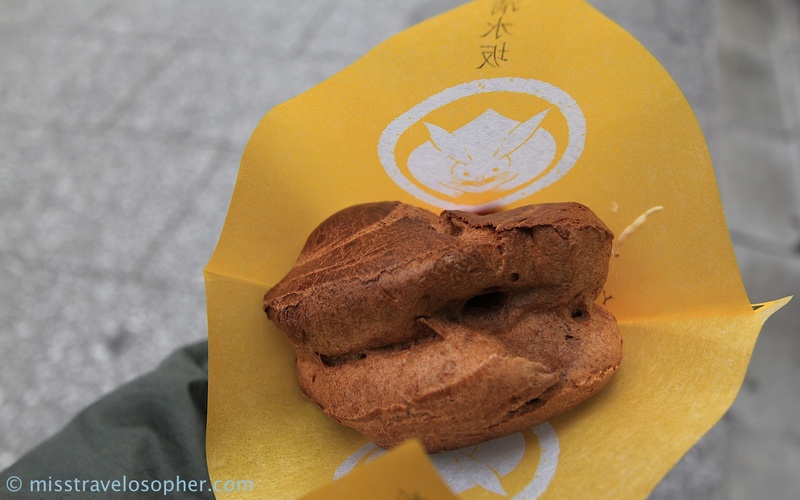 I call this the ‘rabbit puff’ because of the rabbit picture on the wrapper. I have to eat this every time I come here. Another shop which is a ‘must not miss’ is MALEBRANCHE! Oh man! I love this shop! 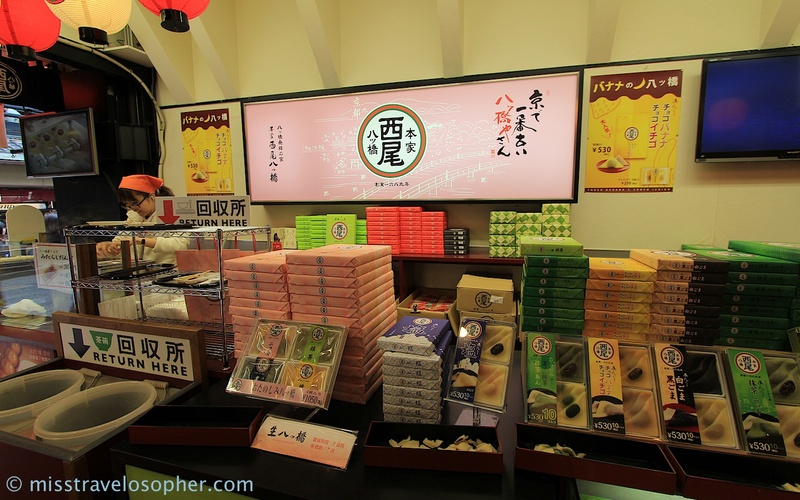 This shop is famous for selling matcha cat’s tongue or langue de chat. 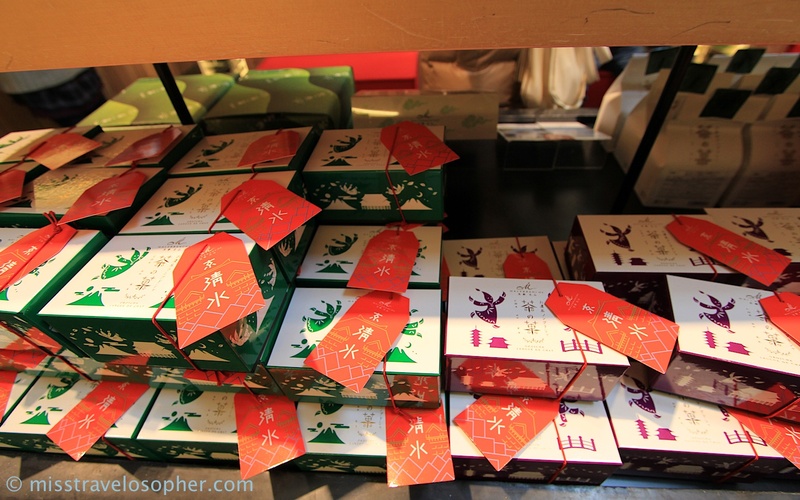 They have an outlet at Kiyomizu-zaka. Oh so delicate and delicious. 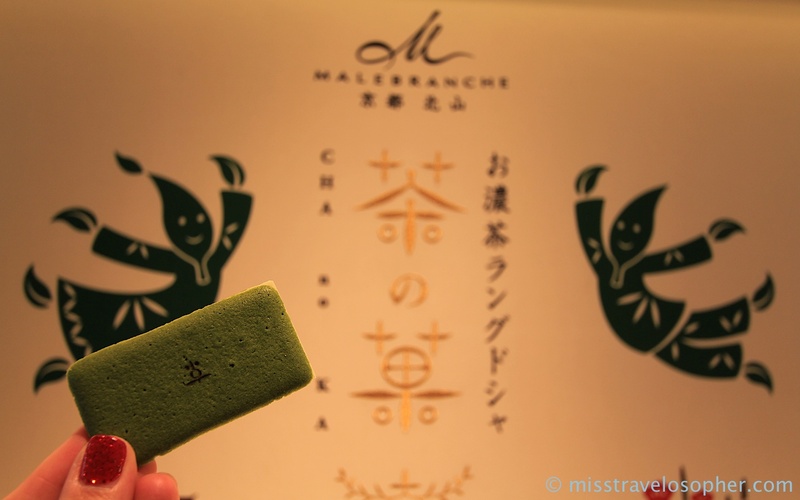 Malebranche’s take on the french langue de chat cookie. 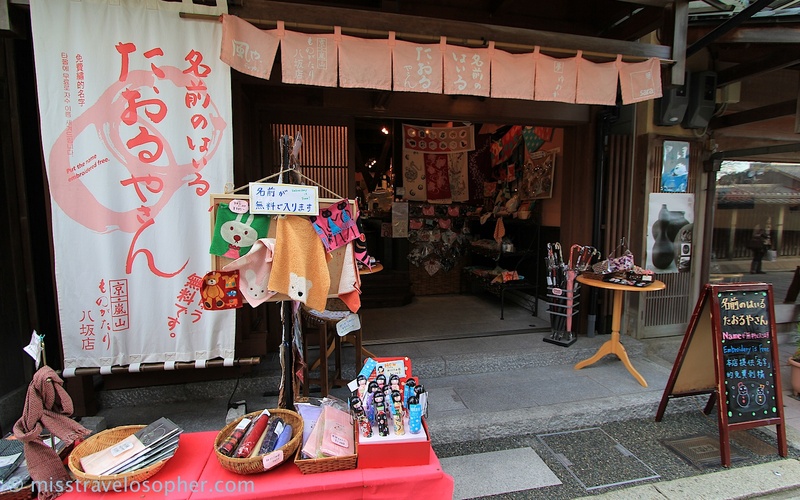 There is seriously so much to see, eat and buy along the streets of Ninen-zaka, Sannen-zaka and Kiyomizu-zaka! 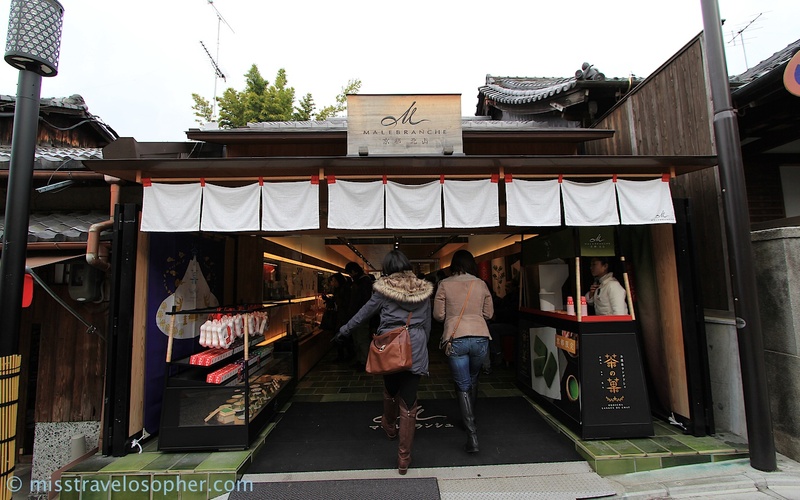 Do allocate enough time if you are heading by this area 🙂 As a benchmark, I spent a quite a number of hours just trying to get to the main Kiyomizu temple as I was really distracted by all the above as you can tell. Lol. 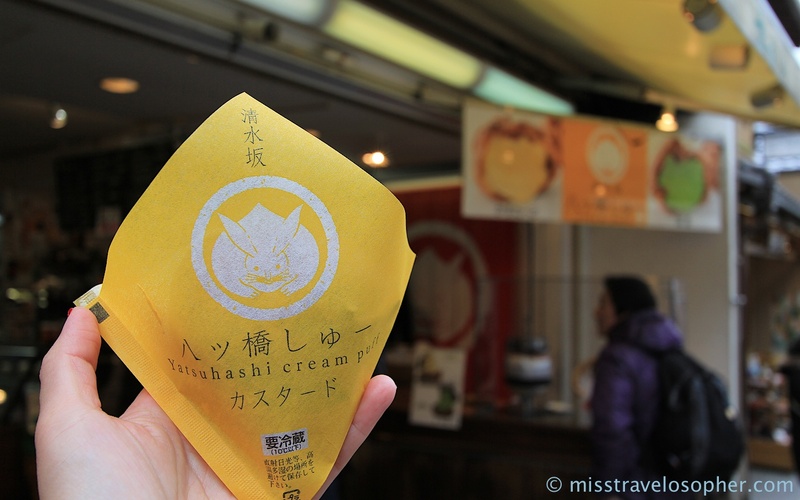 ← miss travelosopher is now on Facebook! 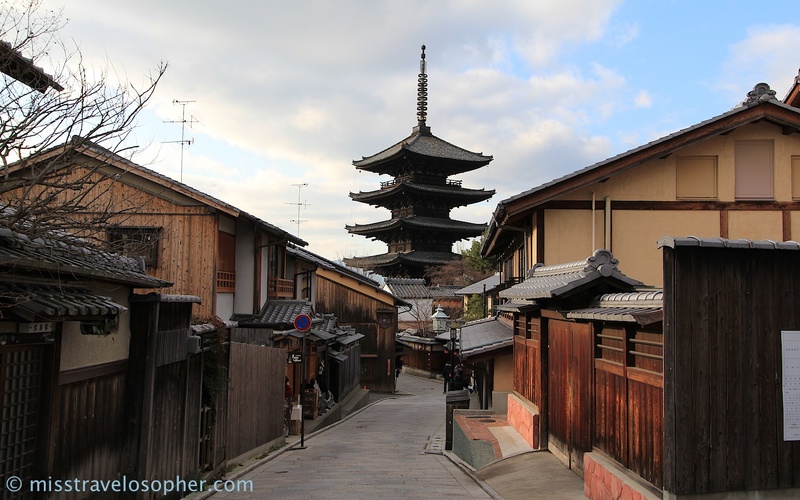 aaah….one of my lifetime dreams is to make time to visit japan…and especially kyoto….ive always wanted to visit the old temples you have there, ever since i was a little boy! perhaps providence will make it possible some day!